What is Manapol® powder, and why is it important? Manapol powder is the highest-quality aloe ingredient on the planet. It's a pure, 100% aloe vera gel extract, with no additives or common allergens that's not just an important Glyconutrient, but the very Glyconutrient upon which Mannatech was built. Does Advanced Ambrotose powder contain iodine due to the inclusion of Undaria? Yes. 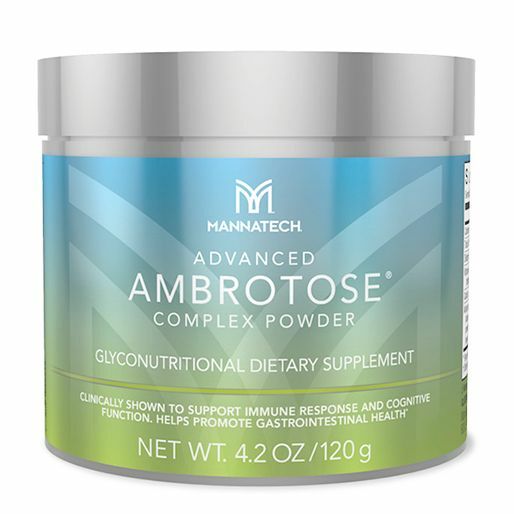 Mannatech's Advanced Ambrotose powder contains a trace amount of iodine per serving. The US RDI (Recommended Daily Intake) for iodine for adults is 150 mcg per day. I’m allergic to aloe vera. Can I use products that contain Ambrotose? Advanced Ambrotose products contain aloe vera gel powders. Individuals with allergies or sensitivities to any ingredients in our products should always consult their personal physician before use. Is it okay to mix Ambrotose® powder in hot liquids? Yes, Ambrotose powder can be added, just before serving, to hot liquids, such as soups or teas. For maximum effectiveness the recommended serving of Ambrotose powder should be consumed. When I measure out Ambrotose powder using a measuring spoon, I often get a different number of spoonfuls from one jar to the next. Why is this? The filling of the jars is measured by weight, not volume. Because this is a natural product, there is sometimes a variation of density in the ingredients. This may affect the number of servings obtained using a teaspoon (a volume measurement) but does not change the number of servings by weight. † Mannatech funded these studies and/or donated the product.